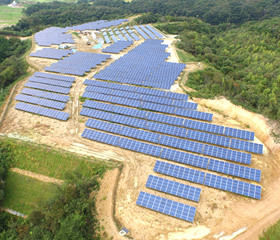 Our solar power generation system business has been in operation since its establishment, and it can be used for a wide range of applications, not only roofs and detached houses of so-called general households, but also large-scale facilities for corporations, public facilities and business operators. 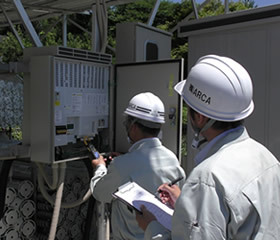 Equipment for long-term stable operation is selected not only for its high performance but also for ease of introduction, and has received high praise from the viewpoint of cost reduction and energy saving. The best parts procurement and construction methods in our company, it can be installed even in non-flat land. Since consultation / field survey is free, please do not hesitate to contact us. 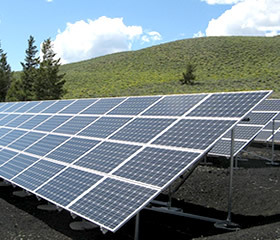 According to the installation site various types of photovoltaic power generation systems are available such as general households, corporate buildings, factories, etc. 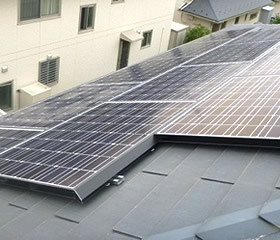 Please do not hesitate to contact us for any consultation of installation location. Judgment on the availability of installation of photovoltaic power generation system at the time of consideration, from various application agency at the time of installation, we will follow all after-installation after-maintenance up by our company. Our plan is to reduce electricity charges by installing solar power generation system as effective utilization of parking space. 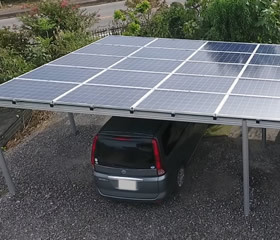 We propose the best carport according to installation conditions. 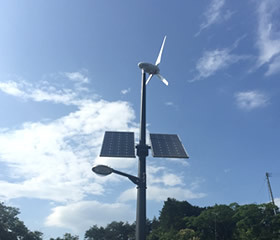 During the day we will use the solar power generation system to generate power, utilize the electricity charged in the storage battery built into the pole, and illuminate the surroundings with the LED at night. Since it is an independent power supply type, wiring work is not required and it will be lit even in case of a power outage. 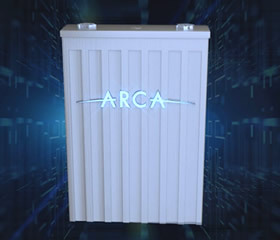 We can accommodate storage batteries of all sizes from large size packages of standard size to portable size. Since we are also custom-made we will provide storage batteries according to the intended use.We will correspond from small lot to large quantity lot. Please feel free to consult us first. 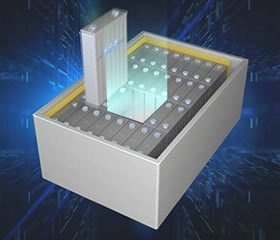 Because of custom-made, it is possible to design a storage battery system according to your needs with an appropriate design that is wasteful according to your application. 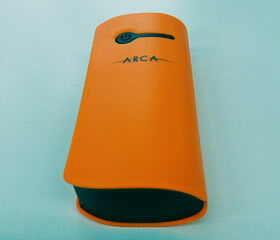 We propose a system that meet the needs of customers which can`t be realized by ready-made products. 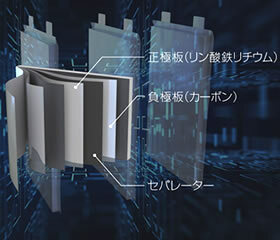 It is a fixed type system that performs charge / discharge control efficiently for storage batteries.It is possible to utilize it in all scenes as a backup for normal disasters, in the event of a disaster or power outage as effective use of electric power. "Please feel free to consult us first. We deal with batteries for small electronic devices.With the development of mobile devices, the necessity of portable batteries is increasing year by year. 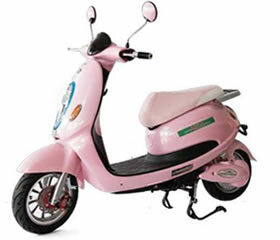 It is an electric scooter using a storage battery.The cost saving, energy saving design which does not use gasoline at all is gaining high popularity even in overseas including Southeast Asia as well as Japan. 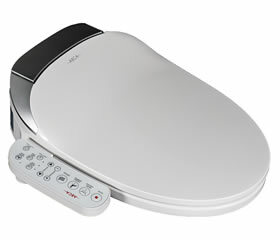 We are disseminating the shower toilet culture that has been started in Japan and is spreading this culture to the world. Our products are spreading year by year in different countries where there is not any concept of hot water washing toilet, and we expects further business expansion in the future.